Our new series of battle-scene tapestries is here! 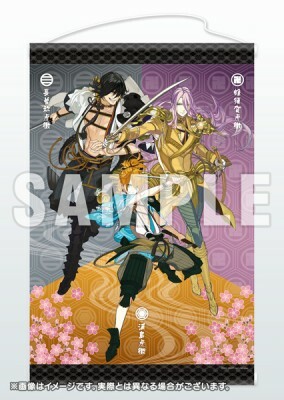 A tapestry featuring related Touken Danshi from our popular internet-browser sword-rearing simulation game Touken Ranbu! Large B2-size allows you to enjoy this battle scene illustration in all its glory! * Images are for illustrative purposes only. Actual product may differ from the images shown.